C.A. 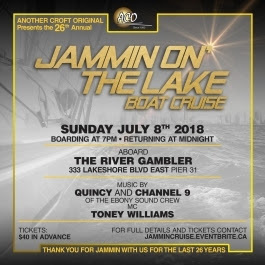 Confidential: Jammin On The Lake Boat Cruise aboard the River Gambler, Toronto, ON - Sun July 8th! Jammin On The Lake Boat Cruise aboard the River Gambler, Toronto, ON - Sun July 8th!